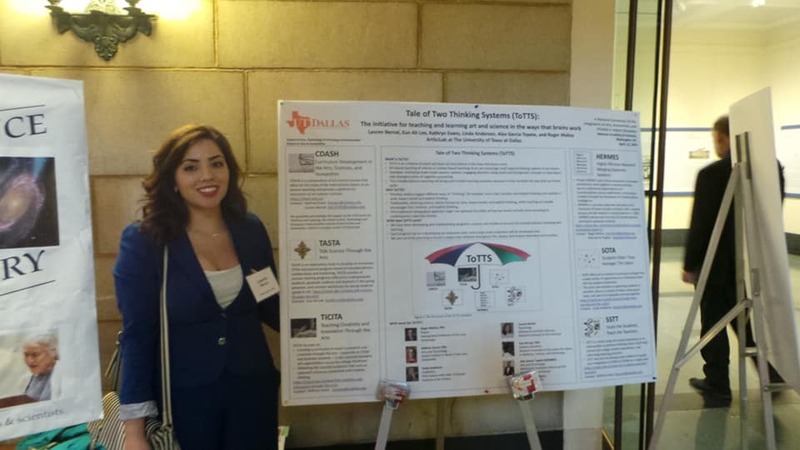 The University of Texas at Dallas ArtSciLab and Dr. Kathryn Evans presented at the National Academies of Sciences, Engineering, and Medicine (NASEM) Convention and made waves! The ToTTS: Tale of Two Thinking Systems project and Dr. Evans’ course presentation strengthened the trajectory of transdisciplinary pedagogy and inspired the like-minded professionals who attended the event. Our Brazilian collaborator, Joao Silveira at the Universidade Federal do Rio de Janeiro, recently completed his ArtSci for Education: Activity Report, February 2019. Soon, the original Portuguese report along with the English translated version will be posted on the CDASH site. We are delighted to share his findings over the transdisciplinary curriculum! The University of Texas at Dallas ArtSciLab is bringing an “umbrella” of CDASH projects to the Carnegie R1 classified university. These projects will be presented in Washington, D.C. at the National Academies of Sciences, Engineering, and Medicine (NASEM) Convention in April 2019. Our brains do not always think in a single, straightforward way. Previous studies suggest different ways of “thinking,” for example, one is fast, intuitive and implicit thinking and another is slow, reason based and explicit thinking. Traditionally, teaching science mainly focuses on slow, reason-based, and explicit thinking, while teaching art usually encourages fast, intuitive, and implicit thinking. This traditional pedagogical approach, however, might not optimize the utility of how our brains actually work according to contemporary cognitive science. Art-based teaching of science or science-based teaching of art can encourage multi-layered thinking systems by activating multi-modal sensory systems; this is done by engaging attention using novel and incongruent concepts or by facilitating to take divergent paths of cognitive processing. This transdisciplinary teaching will bring more fruitful learning outcomes because it helps facilitate the way that our brains work. We have been developing and implementing programs, courses, and studies to pursue this transdisciplinary teaching and learning. We are currently planning to launch a large-scale initiative throughout the campus and toward extended communities. In the Spring on 2018, Dr. Kathryn Evans conducted a study, Moving the Needle, measuring the change in her Music, Science and Technology students’ attitudes on science-music integration in lecture. This investigation and its findings will also be presented by Dr. Evans at the NASEM Convention. The demo session will be recorded and will be included in the NASEM online toolkit as a resource for practitioners interested in implementing integrative approaches in their teaching. Music, Science and Technology course by Kathryn Evans, Ph.D.
Our team presents at ISEA 2018 in Durban, South Africa! Read about our the history of our project in A New Journey of CDASH (Curriculum Development in the Arts, Sciences, and Humanities) by our team member Eun Ah Lee, posted in both English and Korean! We gratefully acknowledge the support of the UTD Center for Teaching and Learning, the School of Arts, Technology and Emerging Communication and the School of Arts and Humanities. CDASH is a project of the UTD ArtSci Lab. Music, Science and Technology is a music course aimed at STEM majors, and in particular, those in the Arts, Technology and Emerging Media (ATEC) program whose majors include game design, sound design and animation. The course also has science majors who are pursuing the music minor. The course encourages students to make connections between current technology and science with the music of our times and the last 600 years. Pedagogical methods include the use of current videos that students provide at the beginning of each class to engender discussion and thought. Assignments include a major project or paper that ties music to technology or science; and the use of musical analysis of at least three pieces of music that illustrate that project or paper indicate that students learned both the basic elements of music and how they are mediated through technology and science. Through the lens of music, we examine attitudes about art-science and the centuries of connections between the two. The course has been offered multiple times and an analysis of student attitudes was conducted in 2018. The results of that analysis and the paper “Moving the Needle: Changing Students’ Attitudes Through an Art-Science Curriculum ” was also be presented at the 2019 NAS Conference in Washington, D.C.
Art and Science is a seminar and studio course on science-inspired art practices. We will survey and discuss cutting-edge art-science theory, practice, and institutions in seminar. In studio, we examine art- science topics in hands-on experiments, and guided activities leading to art projects. There are several fun extracurricular activities planned: a field trip to the Museum of Jurassic Technology and the Center for Land Use Interpretation; the Nelson Speaker Series on Water; an artist-led tour of the waterways of the Inland Empire and Mojave Desert. The course will offer concepts, materials, techniques, and processes for students to create art-science projects. Students are invited to share and employ their own knowledge and skills in art, science, and technology. This course is a graduate seminar focusing on the history of biology in art and design. It traces biocentrism – a biology-based philosophy of the oneness of art and science – from the late nineteenth century to the present within the greater world of art. It focuses on the work of nineteenth-century naturalists Ernst Haeckel and Raoul Francé, twentieth-century Bauhauslers Walter Gropius, Ludwig Mies van der Rohe, and Lászlo Moholy-Nagy, mid twentieth-century cybernetic thinkers and designers Roy Ascott, Gordon Pask, and Cedric Price, and contemporary bio-artists and architects designing with synthetic biology. The class brings to the fore the lesser known pedagogy of bio-functionalism within the Bauhaus, comparing it to New Objectivity Bauhaus functionalism. Readings trace the diasporic spread of this Bauhaus bio-functionalism across the United States in the twentieth century onto an international stage in order to locate its transformed presence in contemporary bio-art and bio-architecture, both of which use living material as a “medium.” The course covers architectural modernism, General Systems Theory, cybernetics, mid-century utopian bio-topic architecture, genetics within art and design, and contemporary bio-art and bio-architecture. Life and design bear at least a century-long history of entanglement and imbrication. In this time, artists and architects looked to the history, theory, and practice of biology not simply for inspiration but for substance and material. Reciprocally, biologists linked biomorphic patterns across species, claiming mammals and plants in certain instances shared ‘good design’: the symmetry and balance of the golden section and beauty classically understood. By contrast, this course looks to the relationships between art, architecture, and biology in order to rethink “consciousness,” “mind,” and the hierarchy of being. It focuses on texts, art, and architecture from over a roughly 150-year period, from Charles Darwin and Ernst Haeckel to Gianni Vattimo and Cleve Backster; from modern art and architecture to contemporary media art and architecture. Students explore patterns, systems, and underlying emergent structures found in nature through code experiments, simulations, and sketches. Course topics include swarming, growth, motility, chaos, complexity, predation, cellular automata, L-systems, and fractals. Prerequisite: ASIM 3305 or CSE 1342, or instructor permission. Laptop computer required. This non-mathematical introduction to the ideas of modern physics is designed for those not majoring in the physical sciences. After a brief introduction to physics in general and atomic theory specifically, the course focuses on three areas of modern physics that have revolutionized our understanding of nature: thermodynamics and the concept of entropy, the special and general theories of relativity, and quantum mechanics. Throughout we will look at Einstein’s contributions to modern physics and what factors in his life and thought allowed him to make such spectacular leaps in understanding. We also examine (briefly) the impact these physics ideas have had on other fields, such as poetry, literature, and music. No background in science or math will be assumed. 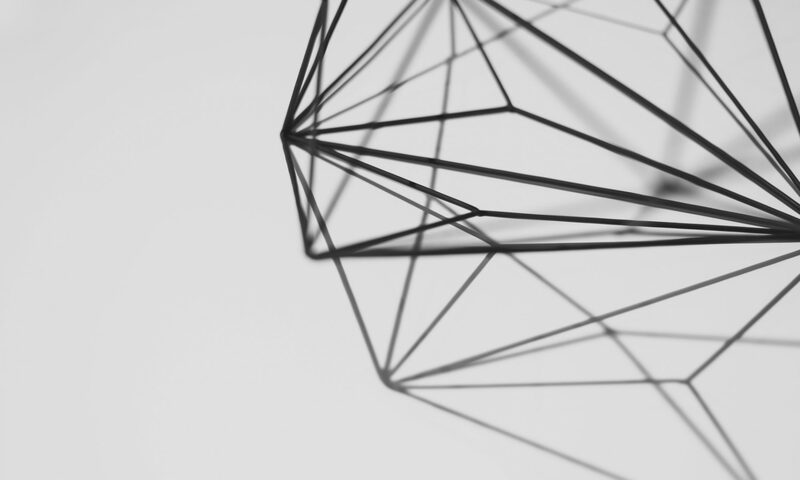 The course teaches modeling across three broad themes: knowledge, space, and time. Knowledge models are based on information, data, and logic (propositional and predicate). examine the unlikely intersections between physical science and the arts – specifically poetry. This interdisciplinary course encourages students from science, engineering, economics, social science, etc. to use techniques from the visual arts to create high-impact visualizations of research data. The primary goal of the course is to allow the students to understand the foundation and philosophical basis of artificial life, its methods, and their practical use in games, robotics, and art. Born of science and nurtured by art, photography has exposed the invisible. In this course, students use photography to explore the common ground occupied by art and science. This course is designed for experienced art practitioners, scientists or humanities scholars who wish to engage with creative bioresearch. Our Primary/Secondary specialist Eun An Lee has added a new article to our Resources page “The Art-Science Connection” about an integrated art-science program in a performing arts high school. Click on “Resources” to see the reference. We are excited to announce the launch of CDASH 2.0, our new website for Curriculum Development in the Arts, Sciences and Humanities! The CDASH (Curriculum Development in the Arts, Sciences and Humanities) website was established in 2012 by Kathryn Evans and Roger Malina as both a resource for faculty who engaged in or were interested in engaging in art-science-humanities curriculum; and as a data collection point where these types of curriculum could be surveyed for innovation and sustainability. Our new site will include graduate, undergraduate, primary/secondary and informal curriculum. Our new website allows you to easily enter your course and all the relevant details. Please log in or register before you submit your course. You may also access the other areas of the site. Those who submit syllabi will be admitted to the Cloud Curriculum, where you can download other syllabi and resources. We are interested in the broad range of curriculum that combines the performing and visual arts (music, dance, theatre, film, visual arts and new media) and the sciences. We are looking for submissions of in-person class room, on-line and hybrid blended courses. Please submit your course today! This project is co-sponsored by The ArtSciLab at the University of Texas at Dallas (UTD), the UTD School of Arts, Technology, and Emerging Communication , the UTD School of Arts and HUmanities, and The UTD Center for Teaching and Learning. For more information, contact us at cdash@utdallas.edu.